Banking on our enriched industry experience, we are engaged in offering a huge gamut of Solar-Powered Led Marine Lanterns. Our procurement agents source these Solar-Powered Led Marine Lanterns from the most reliable vendors of the market. Thus, these Solar-Powered Led Marine Lanterns are highly appreciated in the industry for their reliability and efficiency. Ideal for marina and dock lighting, the M502 offers excellent value and reliable operation for up to five years. This lightweight, sealed light can be installed almost anywhere. Available in red, green, white, yellow and blue with 7 unique flash patterns. we are engaged in offering a huge gamut of M 650 Self Contained LED Marine Lantern. This M650 offered by us is one of the world’s most advanced self-contained, high-performance, low-maintenance and easy-to-install solar LED marine lantern. The key applications of this system include marine aids-to-navigation marking, marina and dock lighting, port lighting and hazard marking. The Ol4 Is A High-performance Light Designed To Perform Reliably At Tough Industrial Locations From Rail Yards To Construction Zones To Mining Operations And More. Lightweight And Self-contained With Sophisticated Solar Energy Management -the Ol4 Is Unrivalled By Any Other Hazard Marking Or Barricade Light Currently Available. M660 Self-Contained LED Lantern for buoys and minor beacons, up to 4 NM Range. 6. IP 68 rated. O-ring sealing with waterproof vent. battery case is also IP68. The M650 offers up to 44 cd IALA peak intensity within a compact, lightweight yet durable design. With intelligent energy management systems and an intuitive on-board user interface, the M650H provides a practical solution for marinas, docks, barges, bridges, and more. With peak intensity of up to 475 candelas (IALA peak) and a maximum range of over 10 NM, new model M860 lantern is the brightest, longest range self-contained solar LED lantern on the market in its class. capable of an average 3 to 6 NM range with the ability to reach over 7 NM. cost-optimize their purchase by selecting the best solution for their installation location. 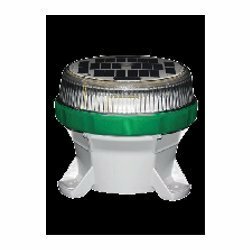 Solar LED Marine Lantern field-proven durability over 250,000 installation worldwide robust, compact and fully integrated design easy, non-technical installation maintenance-free operation vandalism and theft resistant resistant to the unrelenting pounding of the sea. We are engaged in manufacturing and supplying a wide range of Self Contained Lanterns. These Self Contained LED Lantern are designed for buoys and minor beacons using optimum quality raw material and advanced machines. Owing to their low maintenance, optimum performance and no power consumption, these lanterns are widely demanded by the customers. Apart from this, we provide installation & commissioning, recondition & consultancy services to our customers. The VP LED Lamps is a LED lantern designed to be used in moderate ice conditions. It has a proven record of surviving the crushing pressure and dynamic forces of ice. VP LED is mainly used on plastic ice spars and buoys when light unit weight is important. Marine LED light for buoys and small beacons LED 100 is a maintenance free Short Range LED Lantern. Using latest high power LEDs, intelligent electronics and our specially designed efficient optics, we have been able to achieve an excellent performance for the lantern. LED 110 is produced of polycarbonate for durability and low weight. High Power LED Light for fixed installations. LED Beacon Light capable of ranges up to 18 nautical miles. LED 350 H is designed to substitute rotating Beacons with a considerably smaller power consumption. There is some of the following characteristics of the LED Lantern. • Upto 10 years of unattended operation. • Improved visibility from short distance. LED 350 is a unique precision LED Sector Light that can replace most traditional incandescent sector lights with colored glass filters. The range of a single tier white is 8 NM (Tc = 0.74). Red and green tiers have a range of 6 nm. There is some of the following Quality of Led 155 LED Lamp. 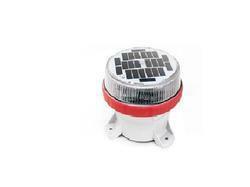 Looking for Solar-Powered Led Marine Lanterns ?